​If you can't understand what is on your telephone bill, what are you paying for and why, or if you want another opinion or simply would like a quote from other carriers - we can help. 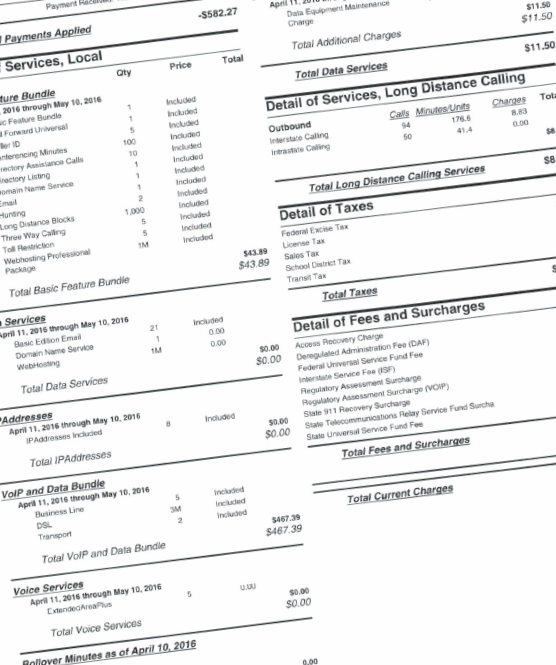 You can email or fax your current carrier's invoice for telephone service or internet access and have our auditors analyze every item on the bill and provide you with an explanation. Make sure to include a cover page and both sides of all pages. Many customers have found this simple exercise to be very revealing. We regularly discover that customers are paying for services they stopped using years ago, or they are under contracts that keep renewing when they should not, or they simply are paying way too much for the services they are receiving. The Carrier Audit is a complementary service of Teleco. Answer a few brief questions and we will get the answers you need.